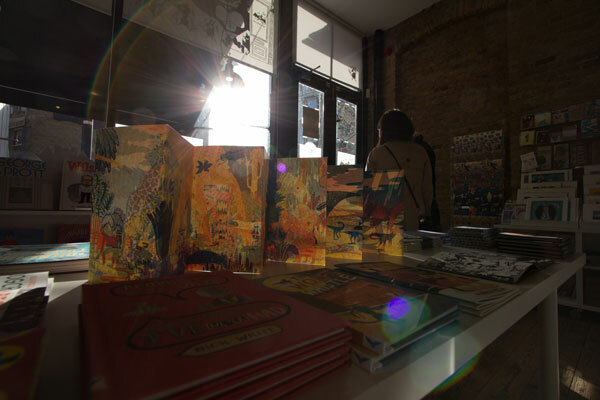 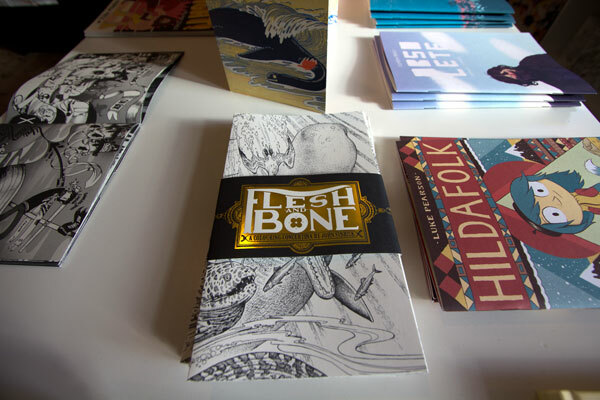 The store is full of stunning books, screenprints, and more amazing products. 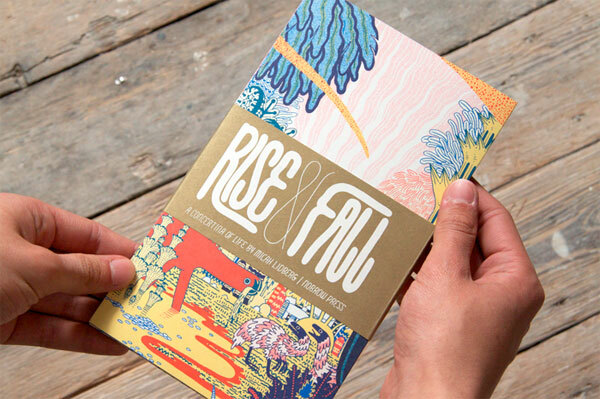 Here’s a gorgeous view of “Rise and Fall: A Concertina of Life” by Micah Lidberg, and a few official photos of this beautiful book as well. 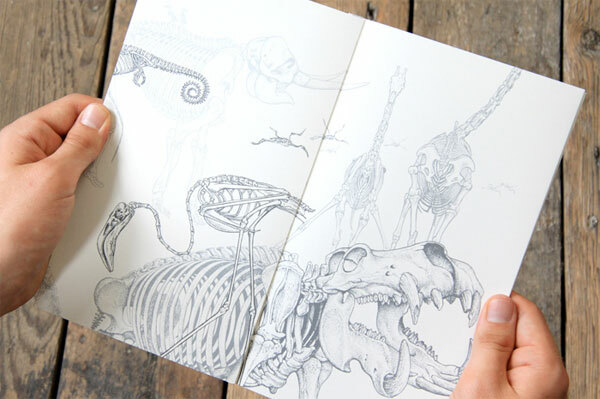 Another favorite of mine was this gorgeous coloring book, “Flesh and Bones: A Colouring Concertina” by John Sibbick. 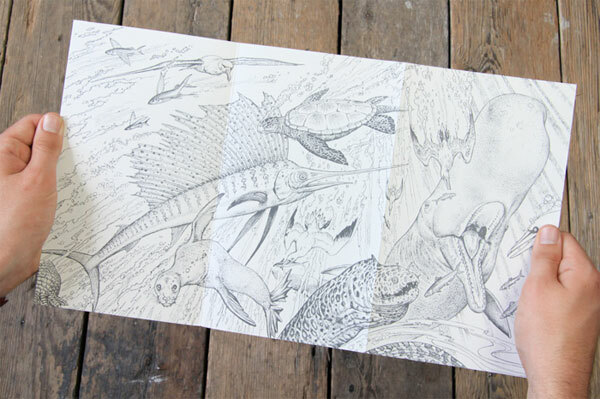 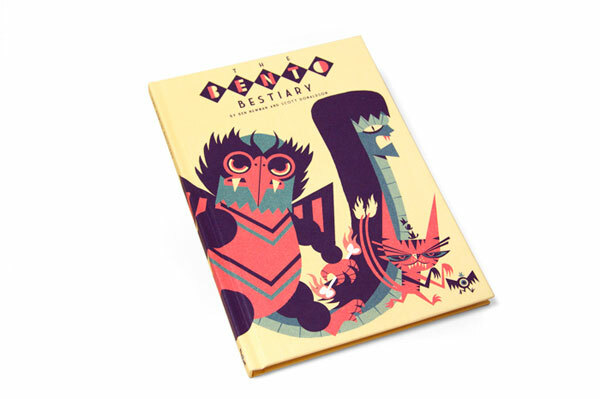 Always love a good bestiary, so was very excited to pick up “The Bento Bestiary” by Ben Newman. 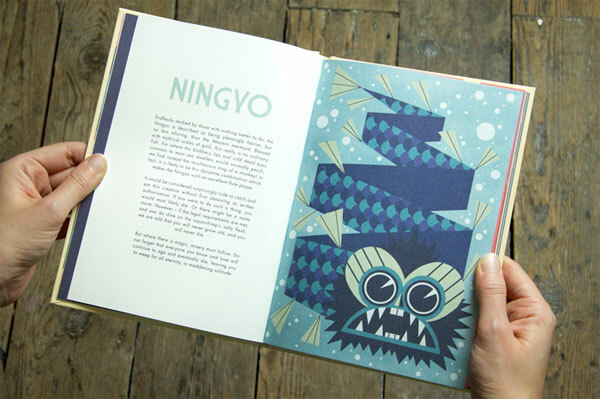 Such a fun little book! 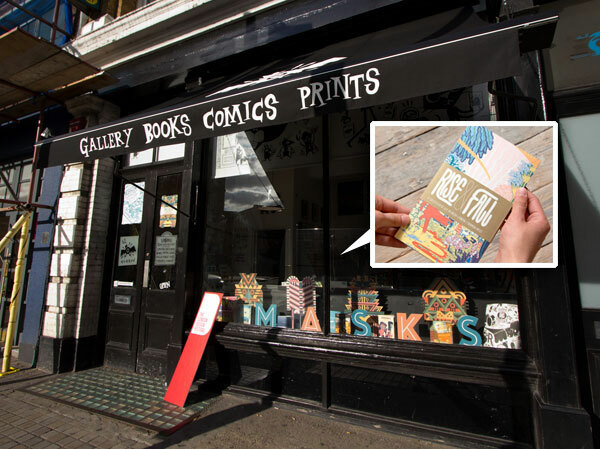 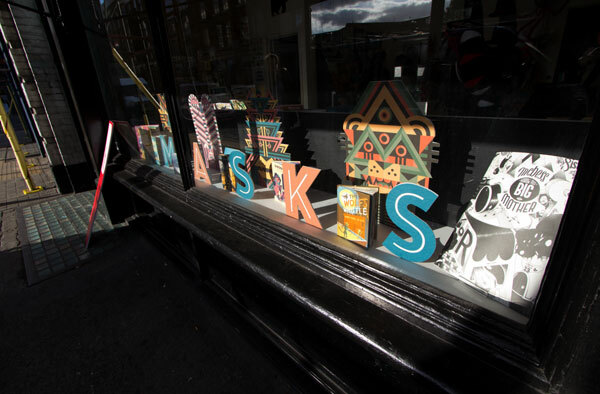 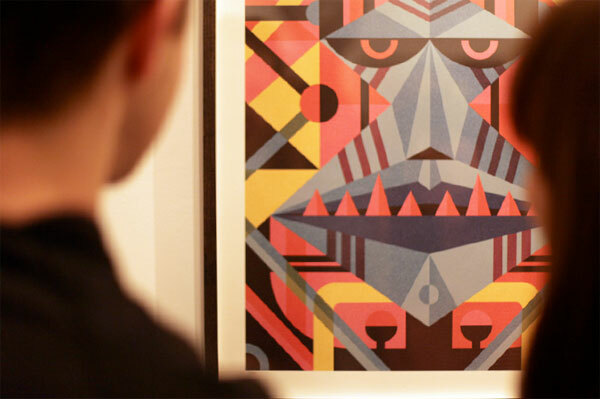 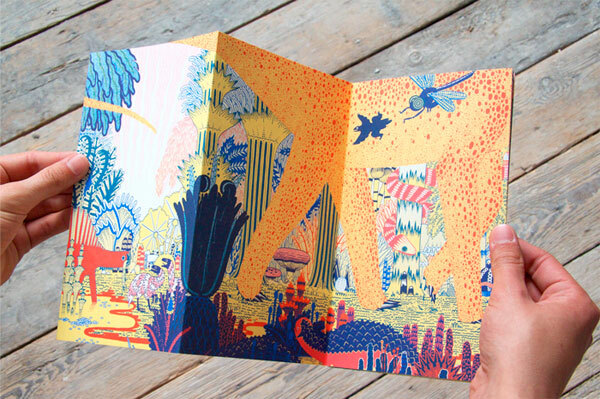 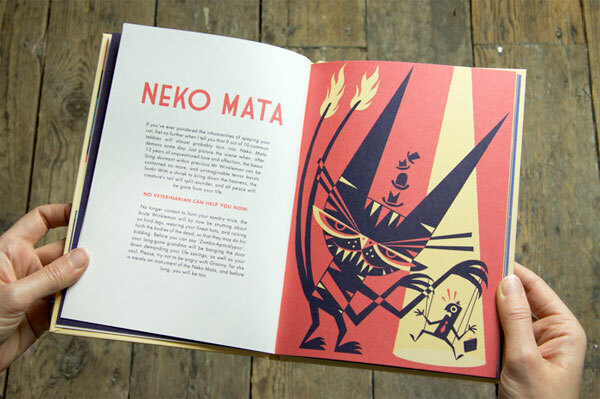 Nobrow have so many fun products in their online shop too! 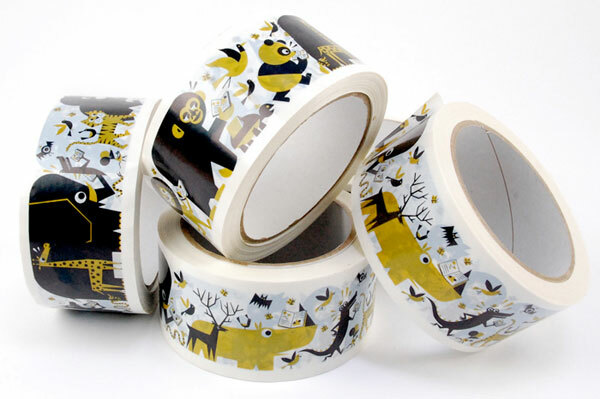 Like this adorable tape also by Ben Newman. 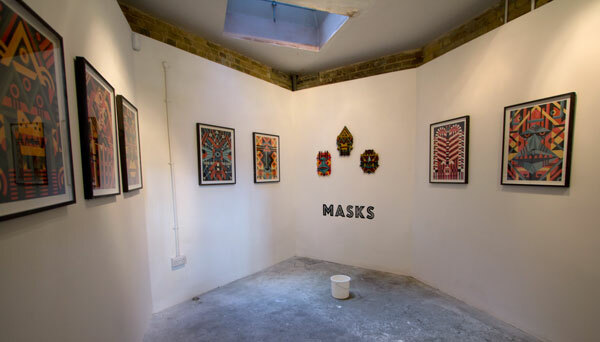 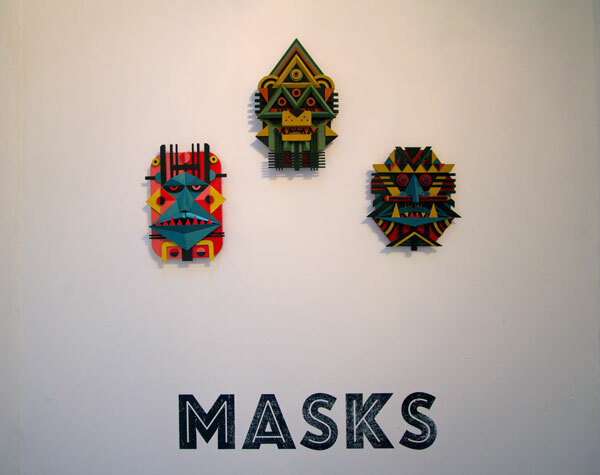 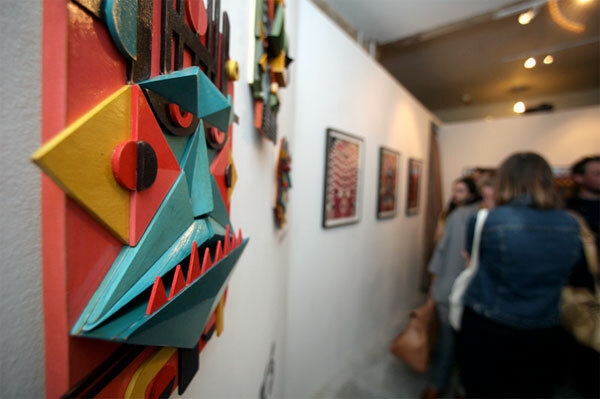 Ben Newman’s work is also currently on show in the basement gallery with Masks.